The International Consumer Electronics Show 2015 becomes the world premiere site for the F 015 Luxury in Motion or what it calls the concept ‘EGG’ car. The F 015 Luxury in Motion is the visionary answer of Mercedes-Benz to a rapidly changing world. By 2030, the number of mega-cities with more than 10 million inhabitants will increase from about 30 to over 40. Please visit the official webpage for more features of F 015. 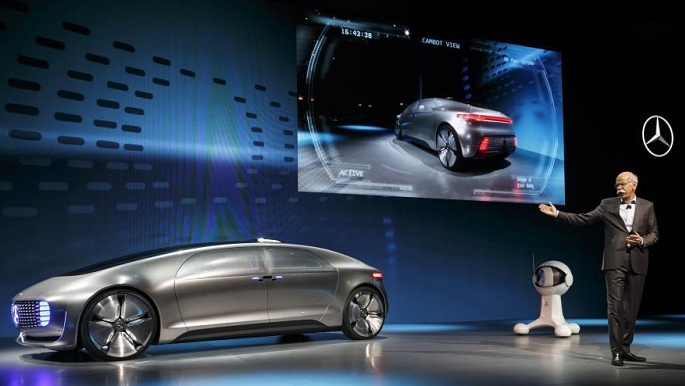 Progressing from the self-propelled (“automotive”) to the self-reliant (“autonomous”) vehicle, Mercedes-Benz as a pioneer goes far beyond the purely technical realization of automated driving. People are always at the centre of such considerations. Just as the 1886 Benz Patent Motor Car and its successors revolutionized personal mobility and, as a consequence, society as a whole, the first self-driving cars will also bring about major changes. Please watch the concept video.